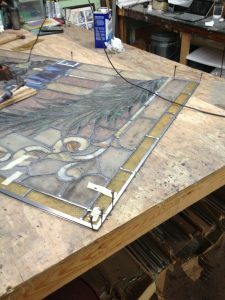 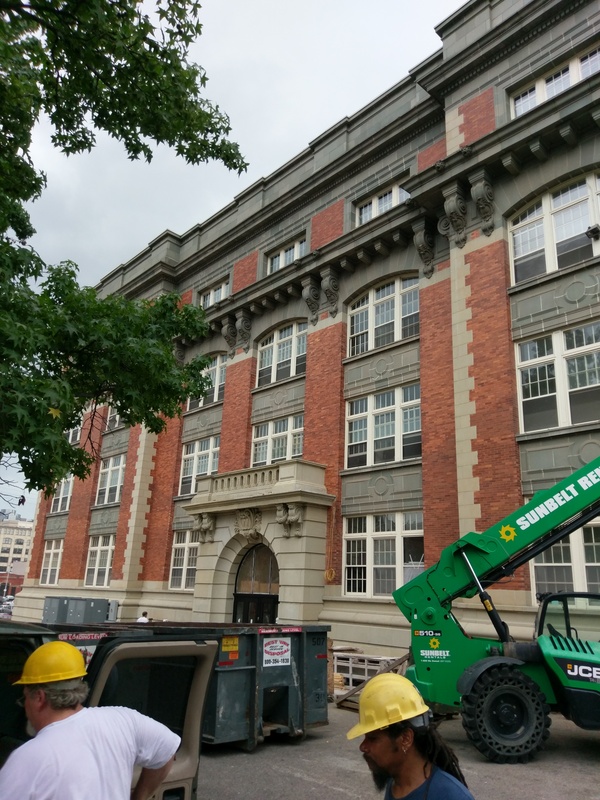 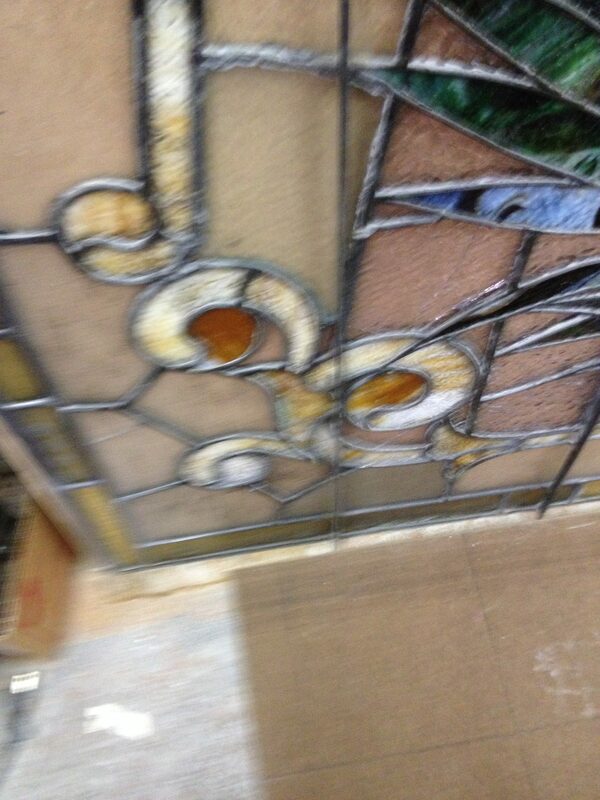 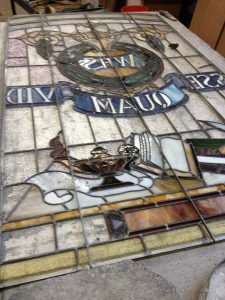 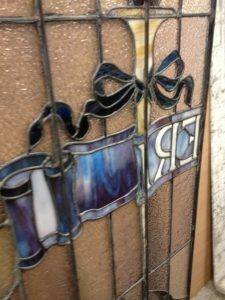 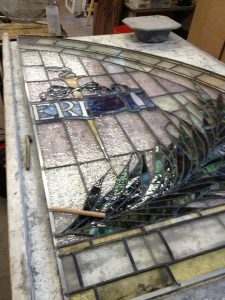 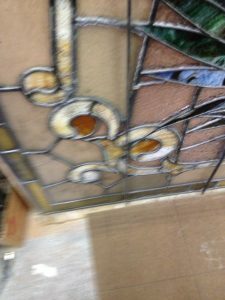 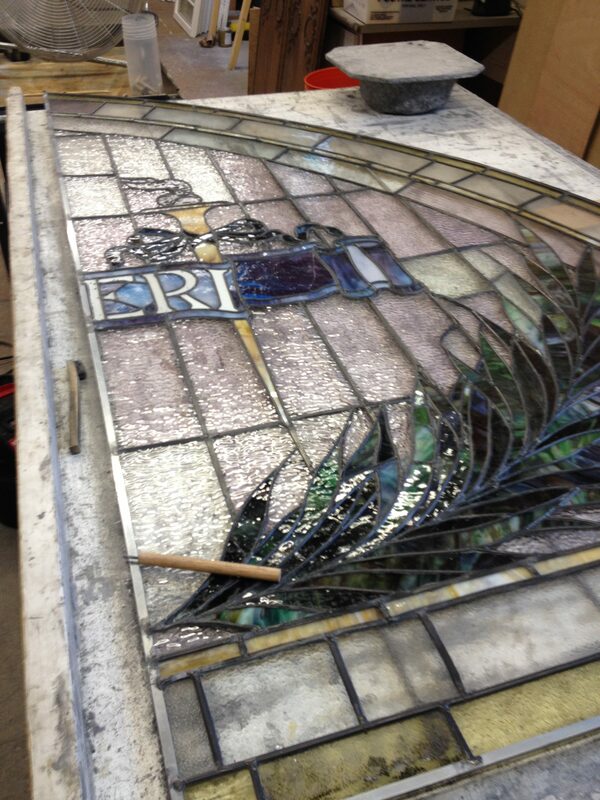 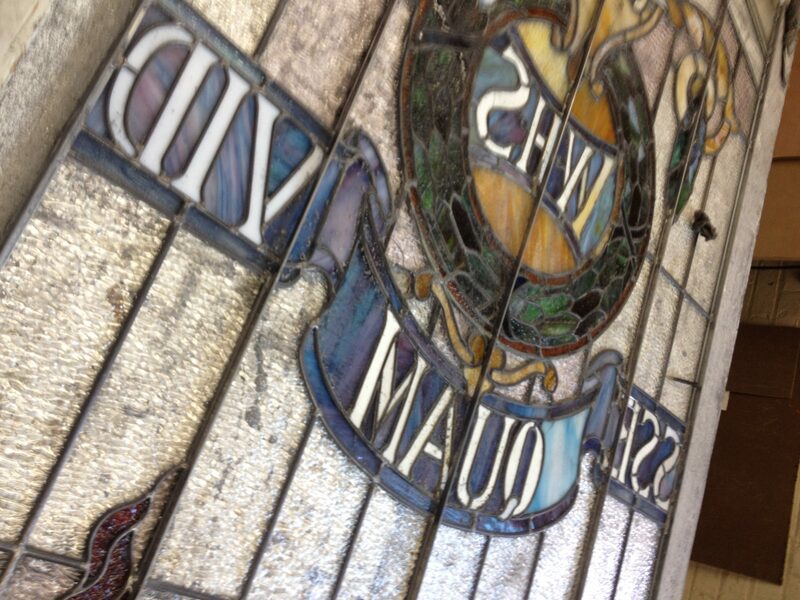 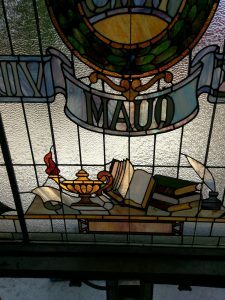 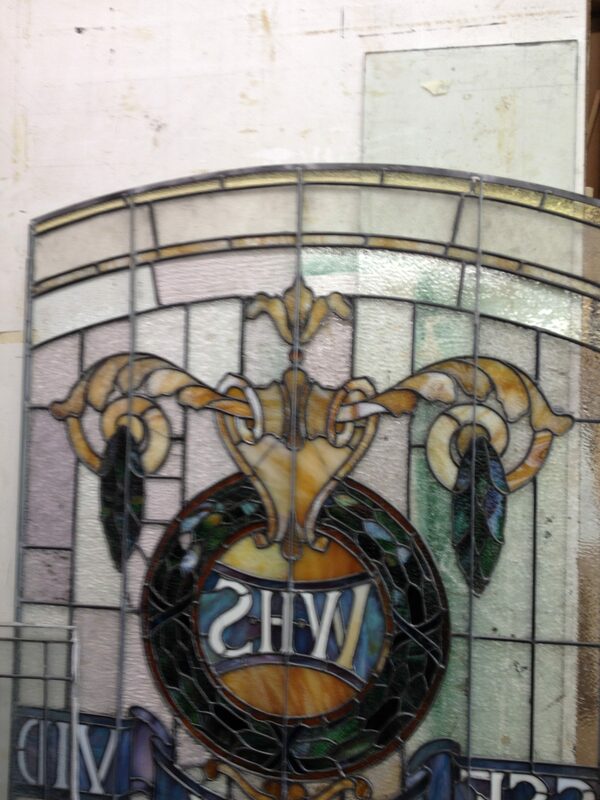 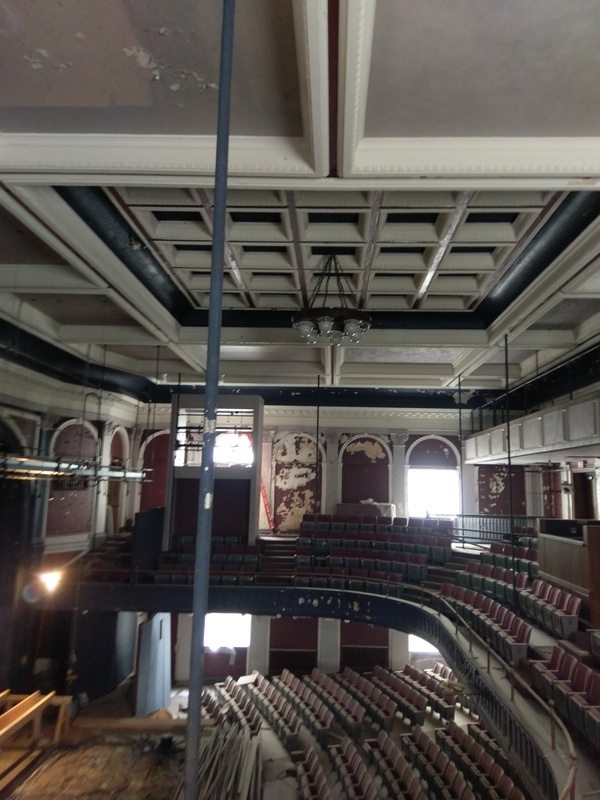 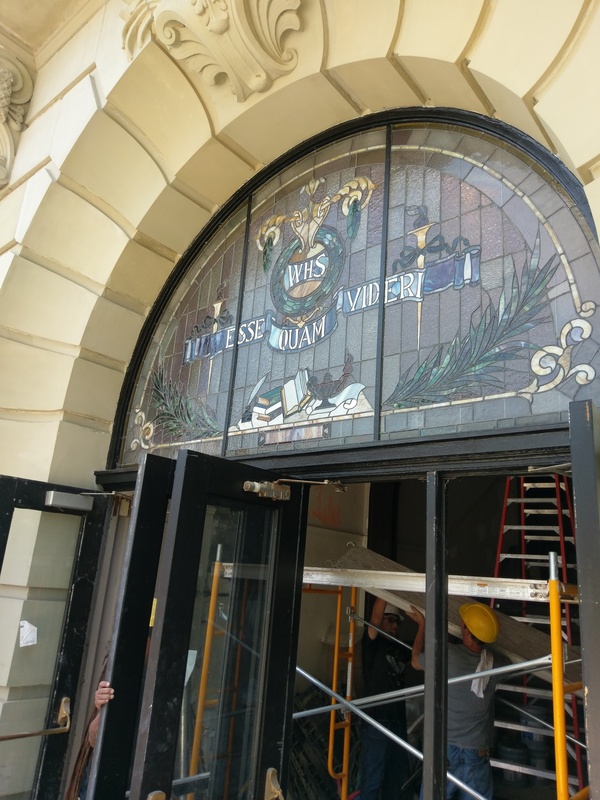 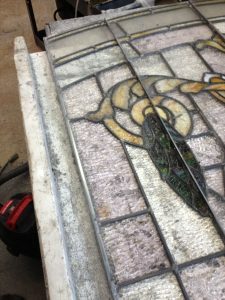 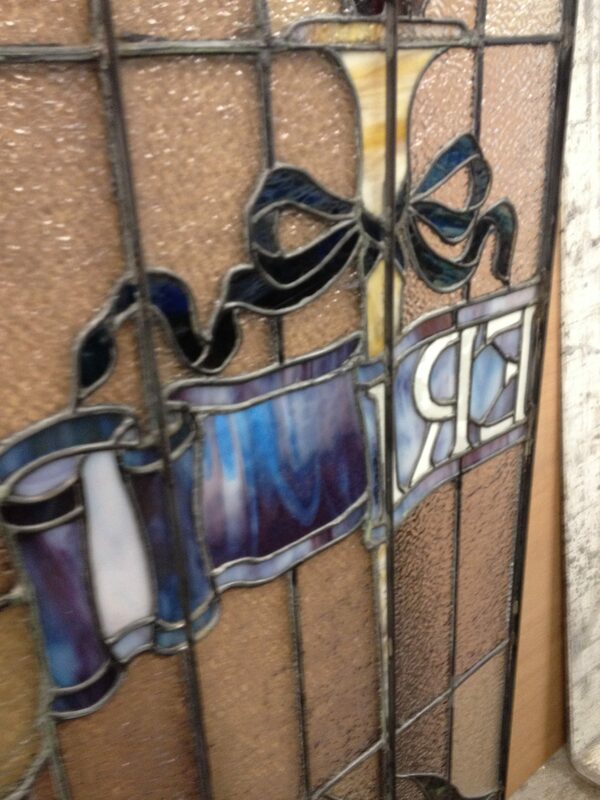 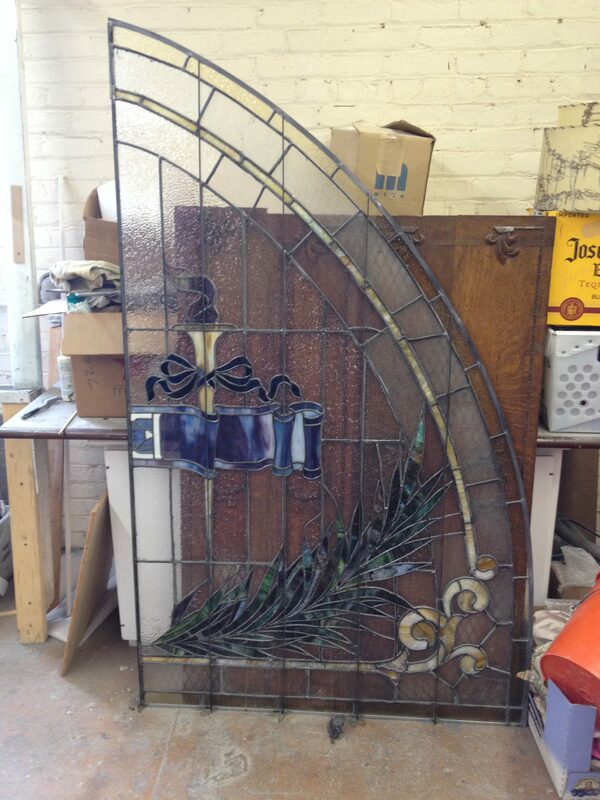 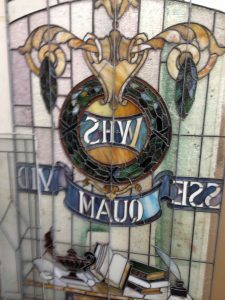 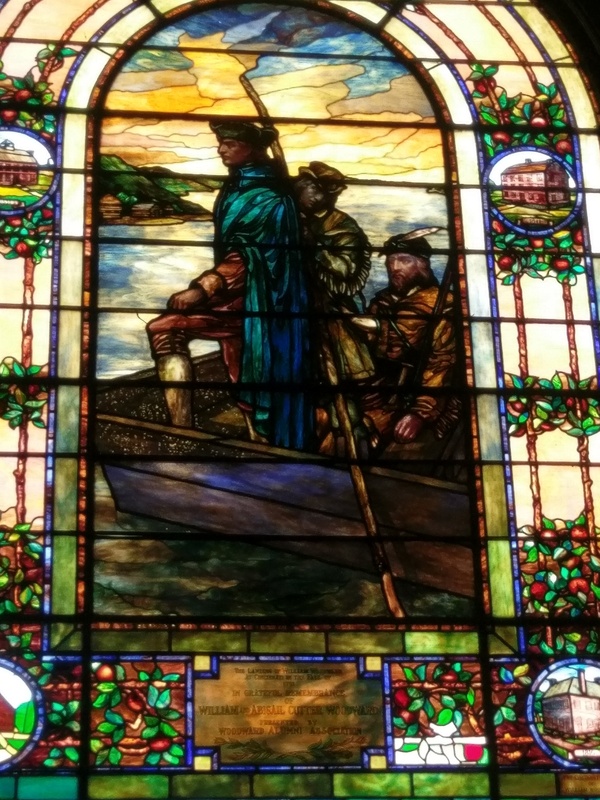 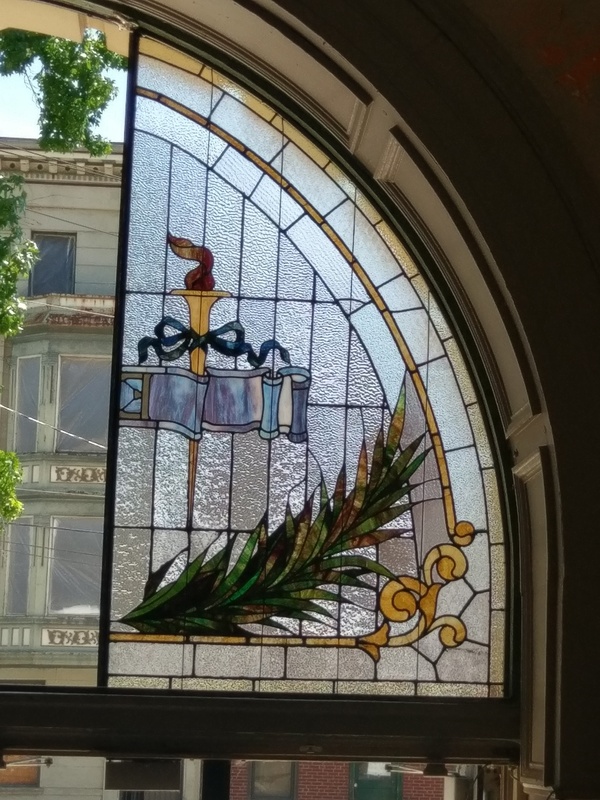 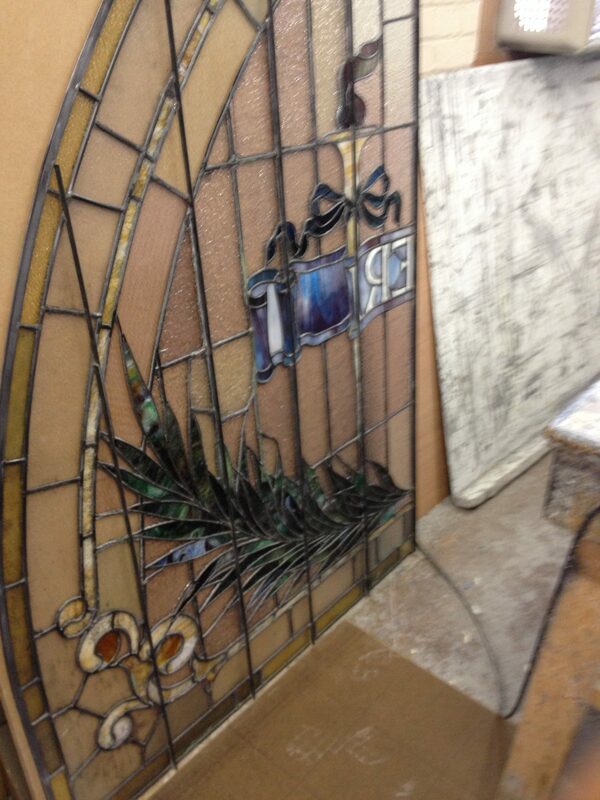 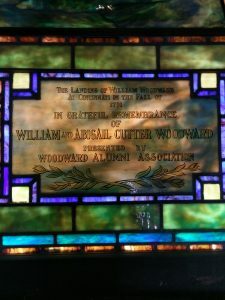 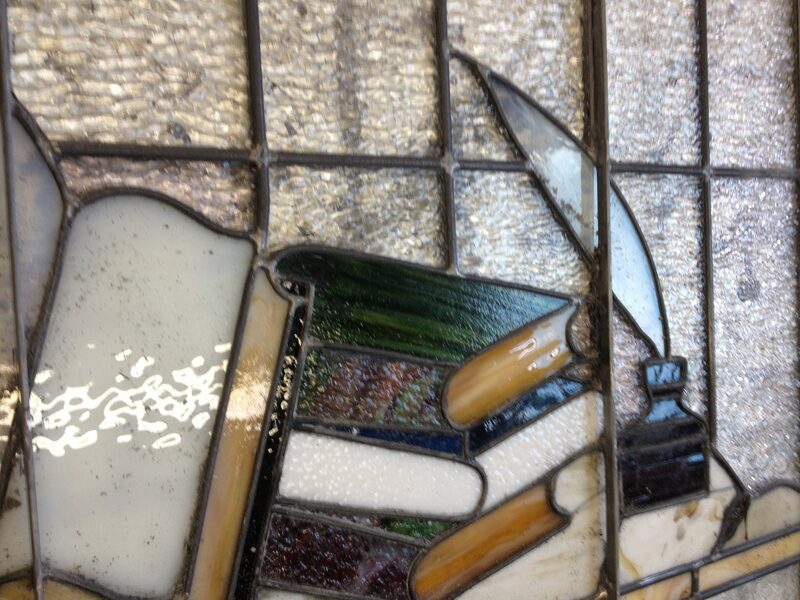 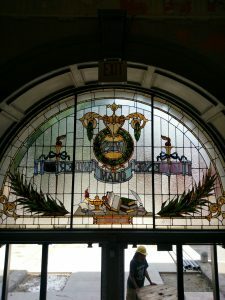 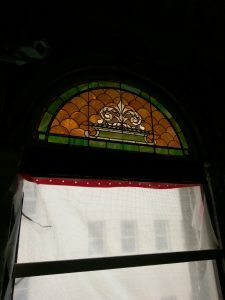 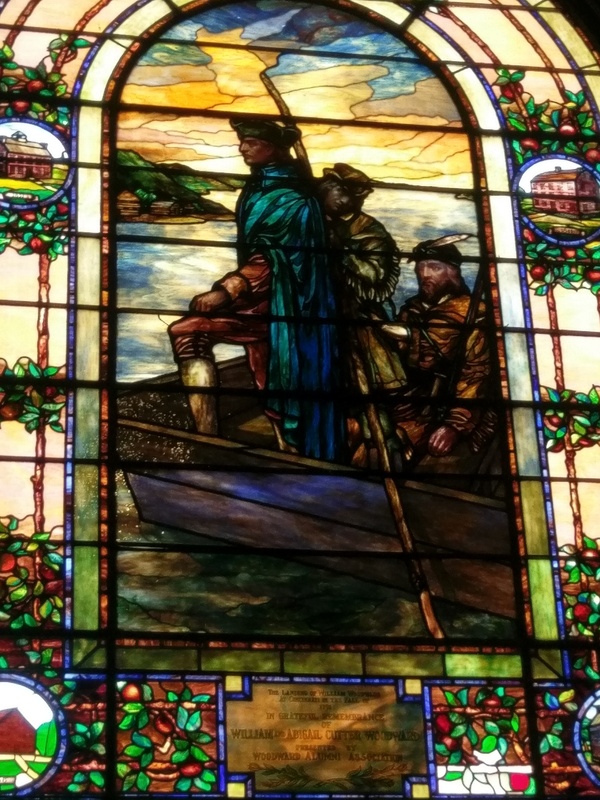 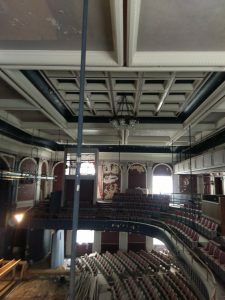 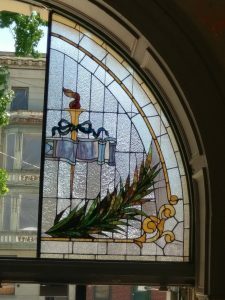 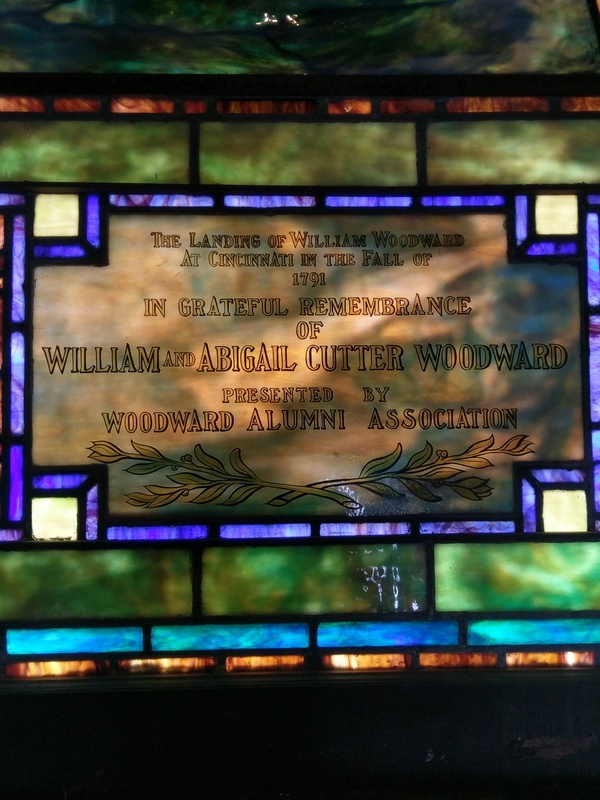 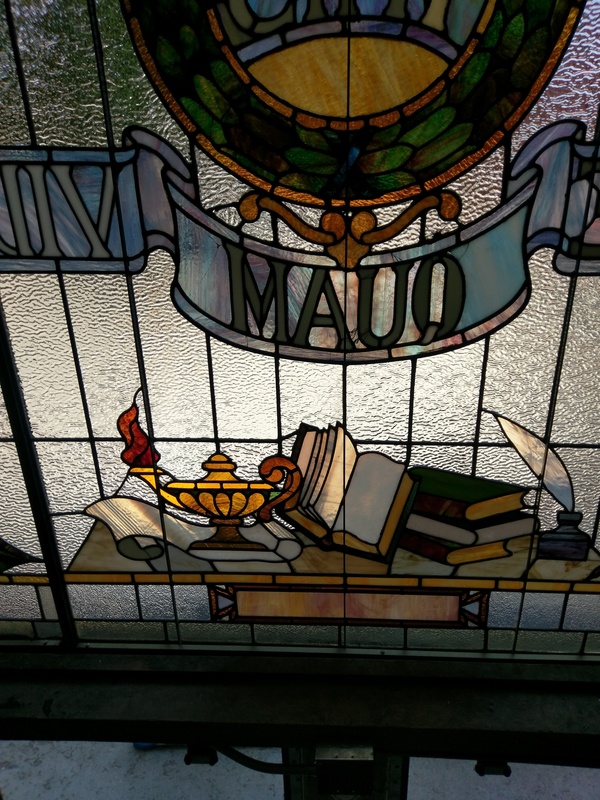 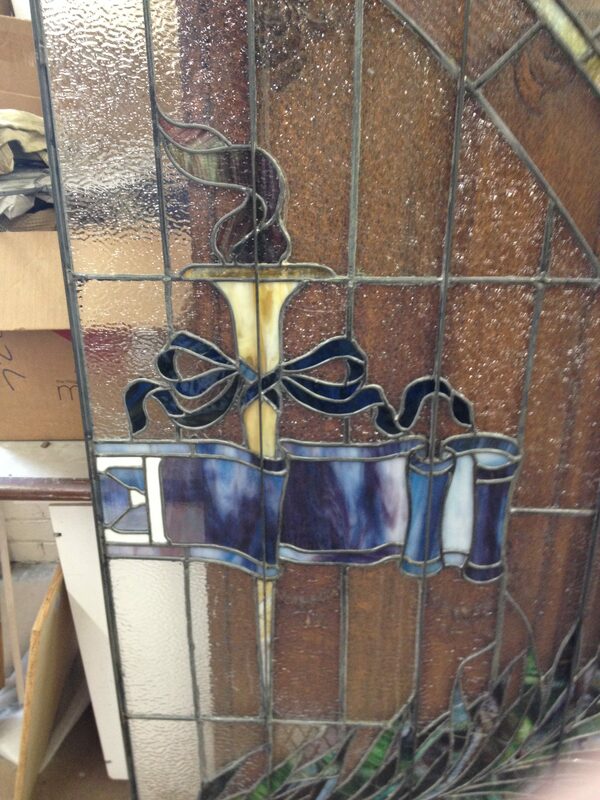 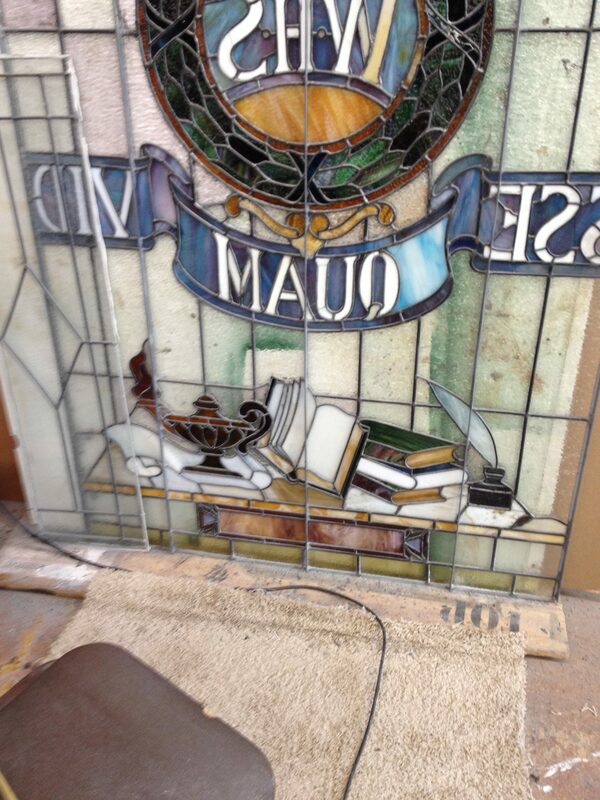 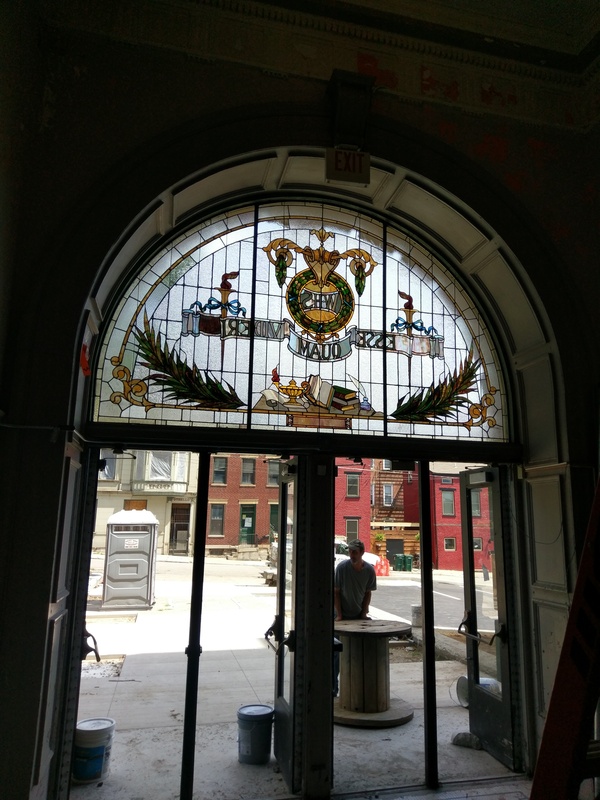 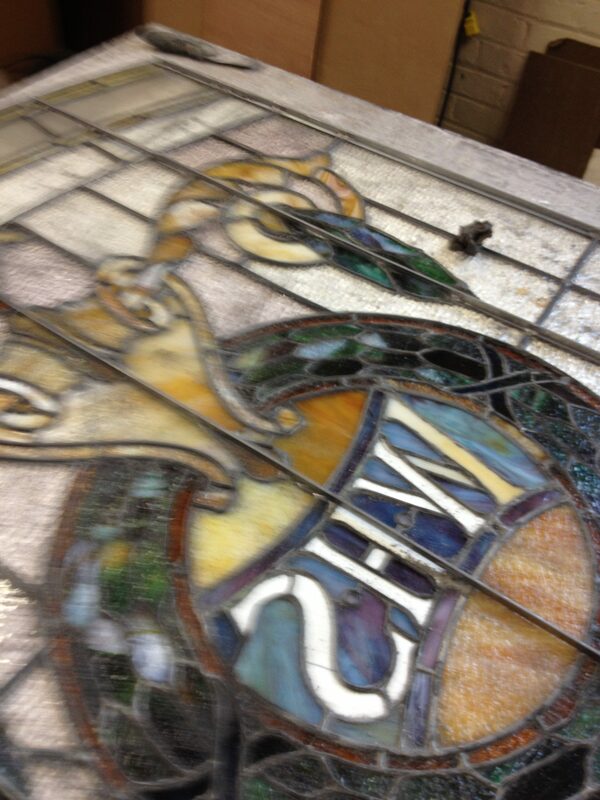 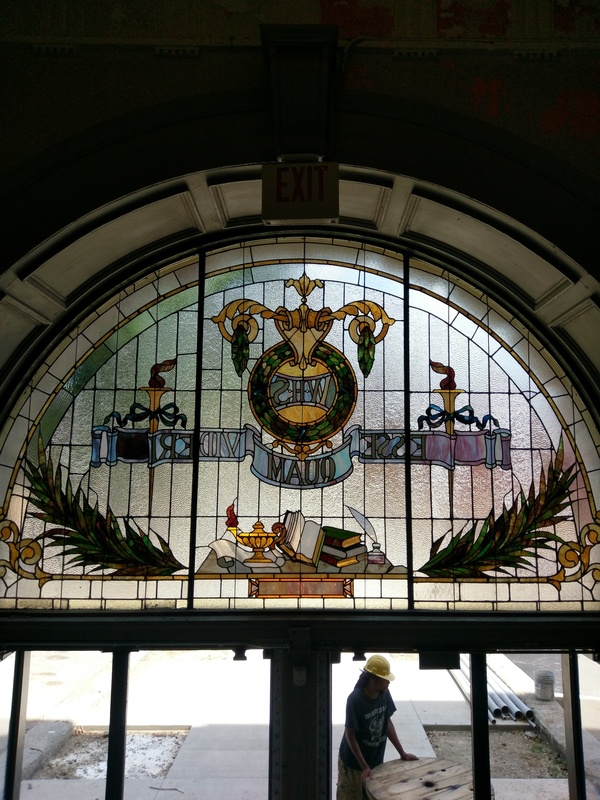 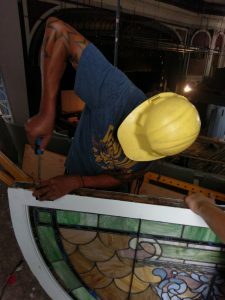 Restoring glass in The Woodward High School made in 1907. 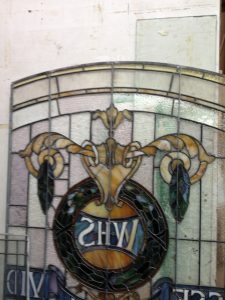 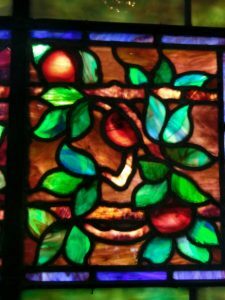 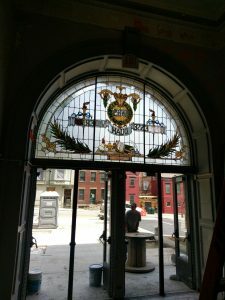 This Glass is from the East Entryway. 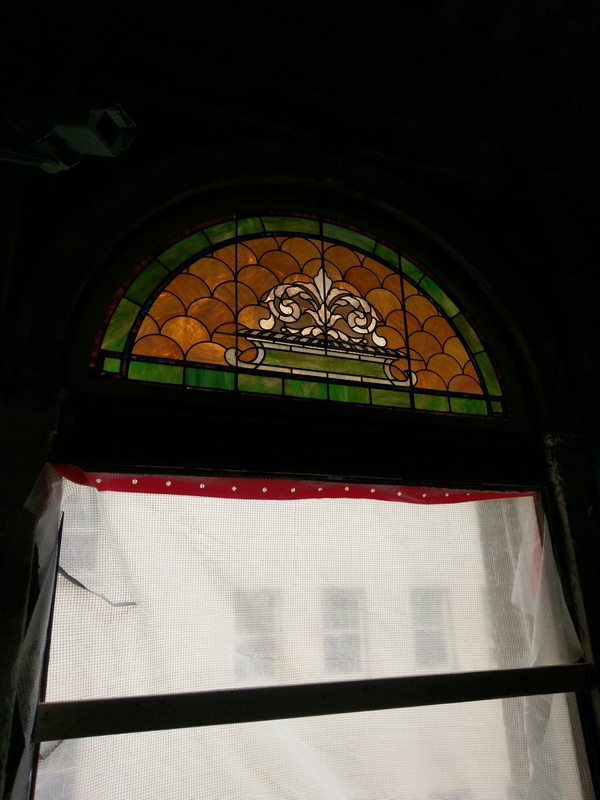 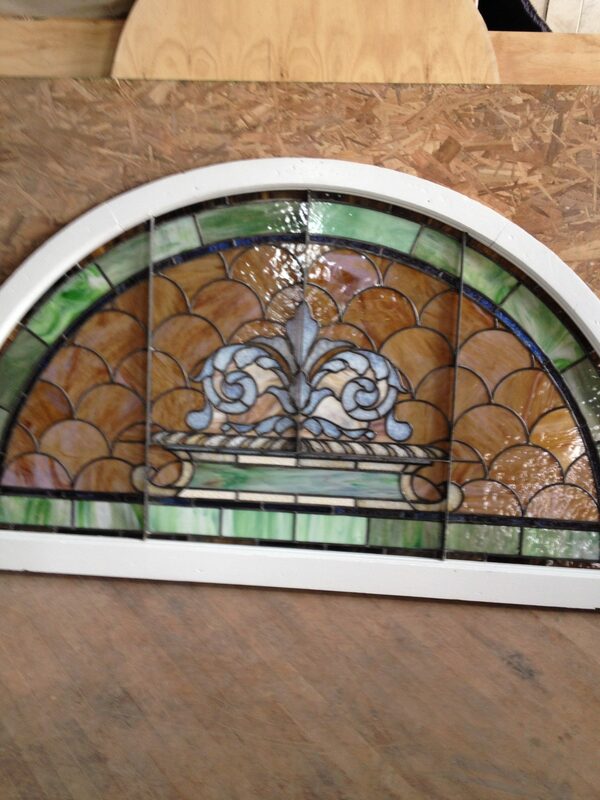 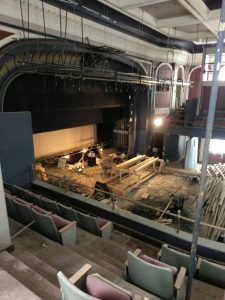 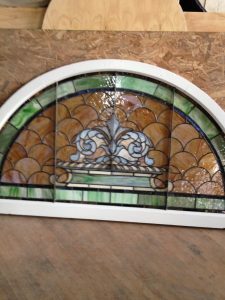 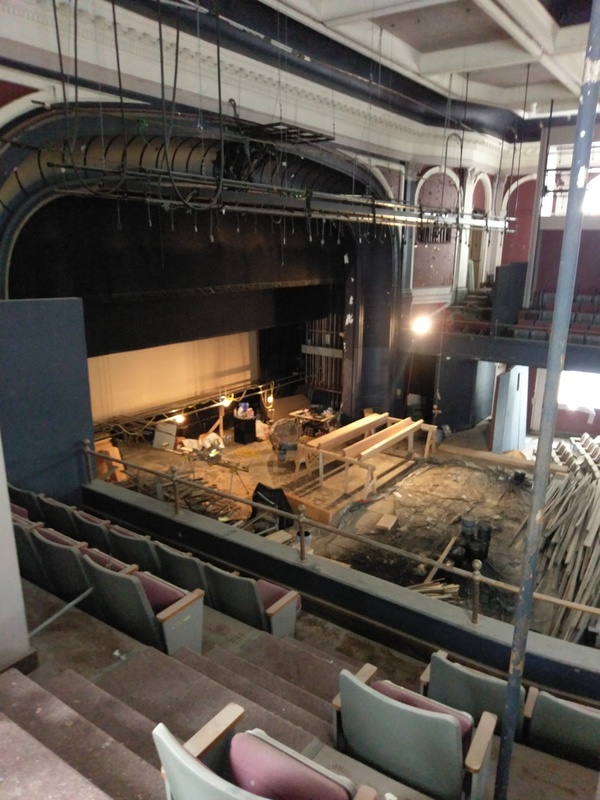 We removed the glass at the end of May and have an august 1st deadline on installation. 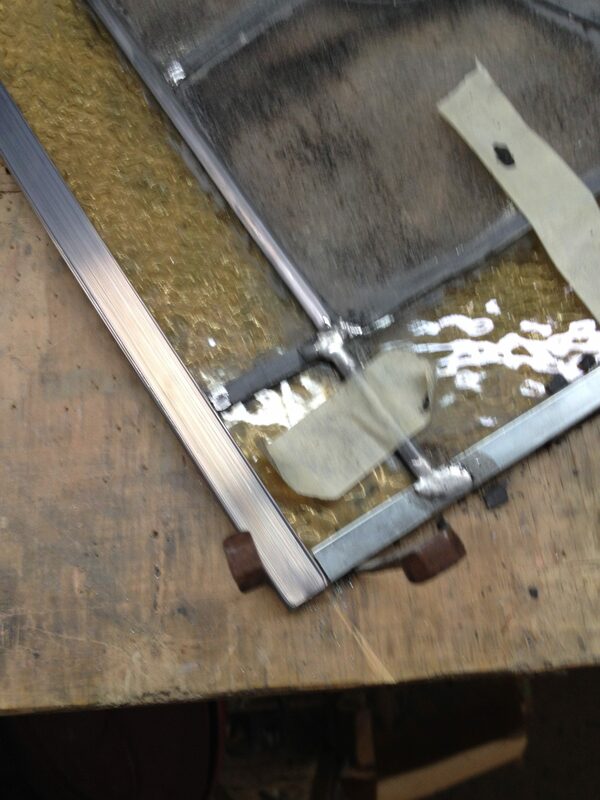 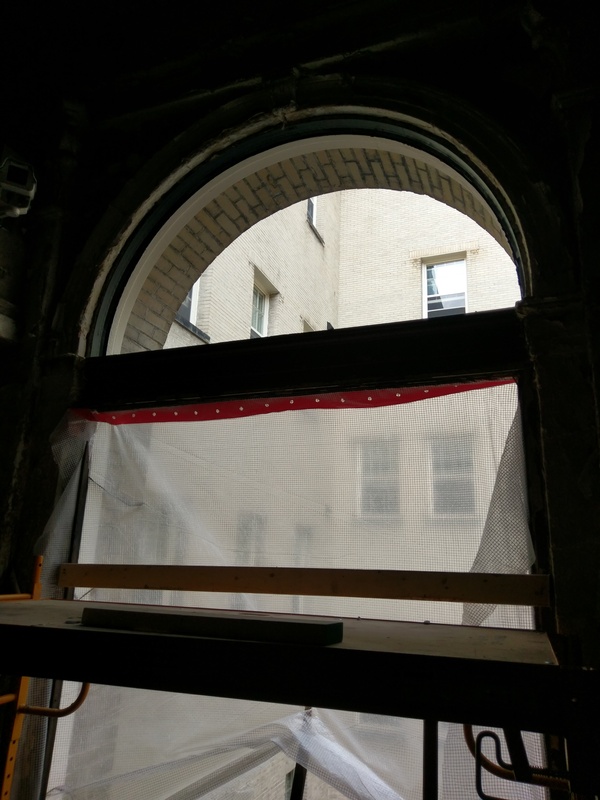 When we removed the glass panels from the metal sashes the panels literally collapsed onto the scaffolding. After years of bad repair jobs the glass was falling apart. 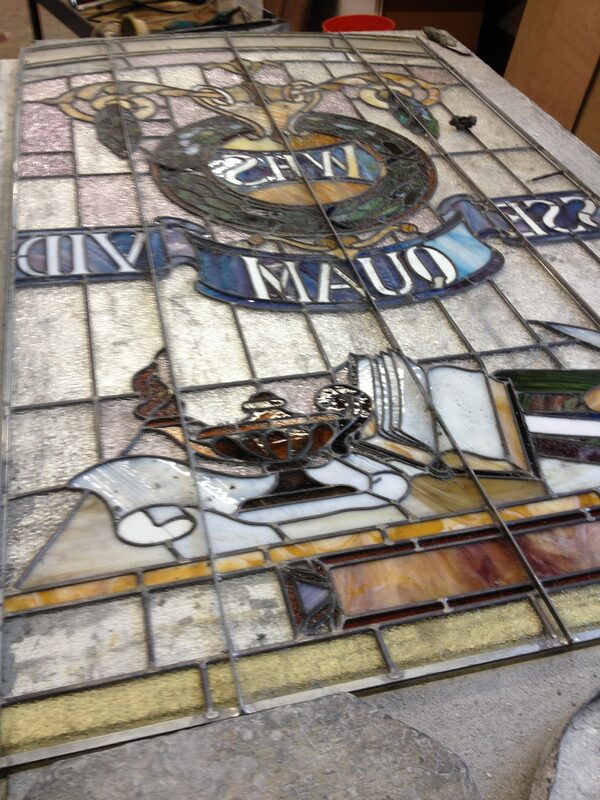 After we are done restoring it it we be good as new again and last another 100 years. We are doing this job for Core Redevelopment in Cincinnati, Ohio and GRC Remodeling from Indianapolis, Indiana.